What an incredible first semester we had at ACO! In addition to the ongoing services provided each month, we were able to serve almost 500 children through our Kids Summer Food Program. Because of the generosity of the community, these children had kid-friendly food to eat throughout the summer. One mother of two young boys told me that she was so thankful for the assistance. "With the boys out of school, I wasn't sure what I was going to do. ACO is such a blessing!" Stories like these warm my heart, and yet they are only possible because of people like you. Thanks to all who participated in our Give Where You Live campaign during the summer. While we had a decent response and are grateful for our supporters, we are below our goal for this year, and we still need the help from our community members who have not yet given to help us. Please save the date for North Texas Giving Day on September 20th, the biggest fundraising event of the country right here. This year, a NEW feature for anyone who wants to broaden their impact is the ability to create your own FUNdraising page to support ACO. I hope you join us as we change lives for the better! I am very excited to share with you what we have accomplished together so far this year because of the ongoing help we have from our board, financial donors, in-kind donors, volunteers, partners and shoppers. 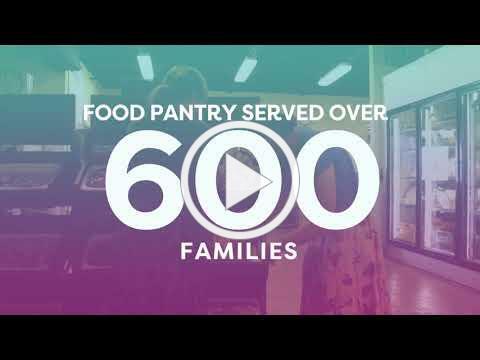 Watch this short video below to see how your help is generating a positive impact in Collin County! I am so thankful to be a part of ACO and the lives that we impact, and I invite you to join me. Whether through your financial gifts, your volunteering, or your donation of items for our resale store, you can make a difference! Celebrate with Allen Community Outreach and be a game changer in the lives of those in need. Be a sponsor, donate silent auction, buy your tickets today! More information here. Join the largest giving day of the country right here in North Texas, and help us reach our goal of $55,000 to prevent hunger and homelessness. 1) Sign up today to have a FUNdraising page to maximize your impact. 2) Schedule your online donation from Sept. 10 through Sept. 19. 3) Make an online donation to ACO on Sept. 20 from 6 a.m. to midnight. more than 500 local students in need. All in, they donated 474 hours of their time. Get AN EXTRA 30% OFF THE ENTIRE RESALE SHOP!